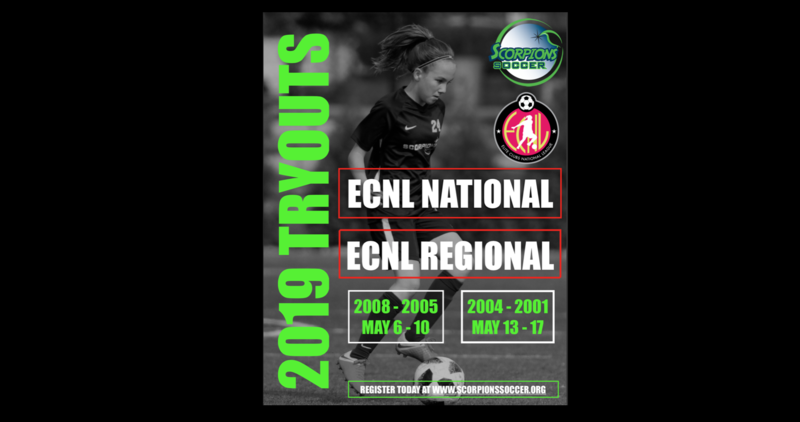 Scorpions S.C will be holding tryouts for any player interested in playing at the ECNL level for the 2019/2020 season. The ECNL is both the most challenging youth soccer playing environment and the 'go to' college recruiting platform across the US. Competing within the ECNL is widely considered a stamp of approval for colleges. 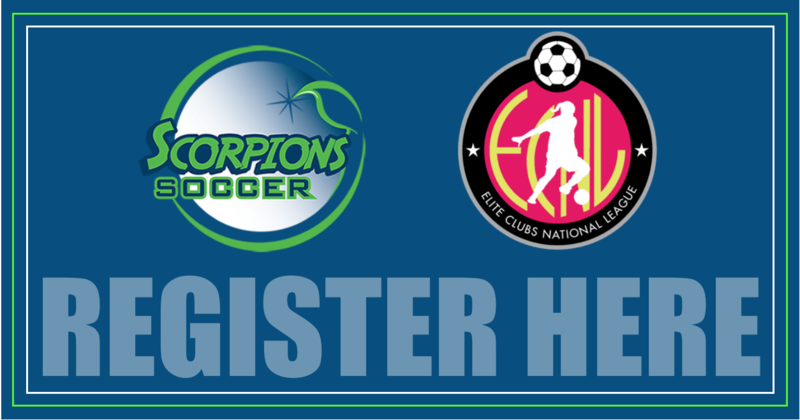 Futhermore, Scorpions S.C is proud to announce that at the conclusion of the current Spring 2019 season, our current NPL teams will transition into the newly announed ECNL Regional League. This provides Scorpions S.C with TWO ECNL platforms for each age group, U12 - U19. Below are the Birth Years, Dates, Times, Location and Registration for the tryouts.